With the Bravia KD55AF8 55 inch OLED TV. Sony launches it's slimmed down version of the extremely polular A1 OLED series into the UK market. The KD55AF8 has an exceptional viewing experience through stunning image capabilities and amazing technologies including Dolby Vision & HLG HDR processing. In addition they have HDR 10 & HDR 1000 compatibility with a native 100Hz screen. Thanks to more than 8 million pixels mixed with superior OLED technology the AF8 can offer you the deepest black authentic colours and TV that can be view from virtually any angle. Combining HDR 10, Dolby Vision and HLG - Hybrid Log Gamma you are assured of the very best picture every time by Sony. Sound performance is not compromised with Sony's revolutionary new sound technology that transmits sound from the screen itself. The new and exclusive technology called "Acoustic Surface" resonates the entire screen of the Sony BRAVIA KD55AF8 4K TV, Pair this with the Subwoofers hidden away in the stand of the TV and you have the richest sound experience from a TV to date. With all this technology housed into one stunning unit, you want to make sure you get the longevity that you would expect from a Sony product. That is why this Sony BRAVIA KD55AF8 4K TV comes with a full 5 years guarantee that covers parts and labour. The X1 Extreme processor is the missing link from a good to an exceptional television experience. The Sony 4K X1 Extreme analyses every signal received to the TV to understand what level of processing is required to the picture including noise reduction and Super Bit Mapping which smooths out gradients of colour to reduce the banding effect. So a RAW 4K Ultra HD signal will be handled differently to Netflix 4K signal to a Sky HD signal to a USB video signal. TRILUMINOS brings more lifelike colour and opening the spectrum to benefits of 4K Ultra HD resolution. Taking the technology a step further is the Precision Colour Mapping process which enhances the blue shades of colour ensuring the full range of the colour gamut is produced. Another benefit with the X1 Extreme processor is Object-based HDR Remaster which looks at each object on screen individually and the colour is enhanced per object offering a more true to life image. Blacker than black on dark scenes, absolutely crystal clear picture maybe not as bright as standard LED's but that isnt an issue i feel. Picture is outstanding, sound is the best I've heard from a flat screen TV the sound seems to follow the source of where it should come from! This is an awesome TV, excellent picture, stunning design. Very happy with the purchase. Well worth the extra pennies. Picture quality is amazing, would highly recommend to anyone wanting a OLED TV Very expensive but woth it if you cn budget the extra coins! Stunning picture absolutely love this TV. ideally id like to fine a 4k living photo of a sunset to imagine were miles away! Dont use a lot of smart features but the few i do use, catch up Netflix etc work a treat. 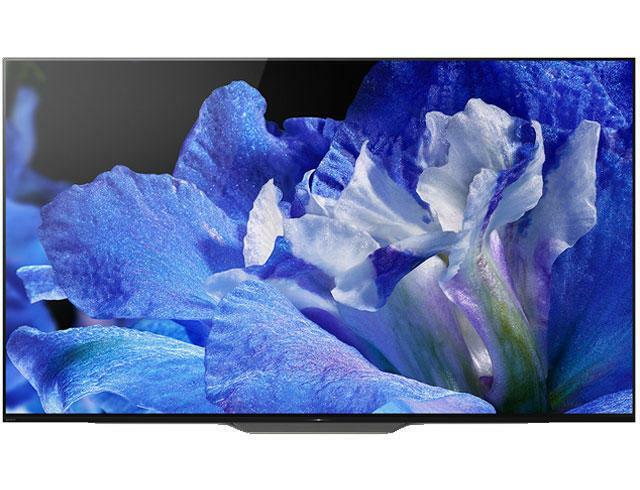 Beautifully designed OLED TV celebrating clean minimal styling with very high end features and performance. and wonderful black levels. Quality does come at a price and is expensive but buying a main TV i would liken to buying car so quality is paramount. Picture quality and overall design is quite simply outstanding, speedy delivery also, looking forward to Saturday night movie night! The television overall quality of the picture is excellent and the sound is right up there to match. Absolutely amazing picture quality and sound, apps open much quicker than my previous Sony which i was always happy with! To many positives to go into it really is a great TV albeit very expensive, i appreciate not everyone would want to spend so much but best in its class in my humble opinion.